Ready to take your crocheting and knitting up a notch with the Russian Join method of joining yarn? One thing (the only thing?) I hate about crocheting is having to weave in yarn ends. 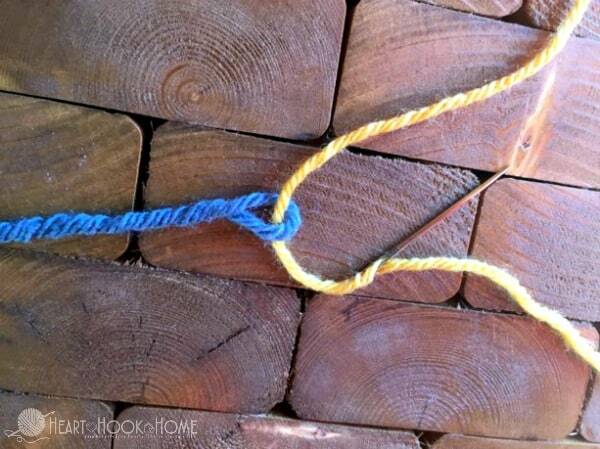 This method of joining yarn eliminates that step! 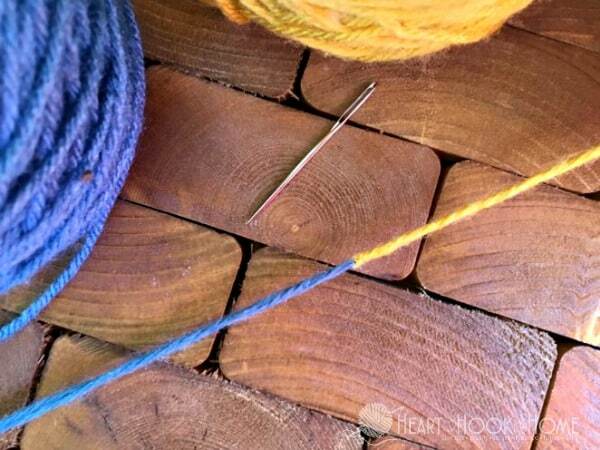 The Russian Join is a great way to connect two ends of yarn so that the join is as seamless as possible in your next project. The Russian Join also works well when you are making your own yarn cakes with a yarn ball winder. Stay tuned for a tutorial on that! 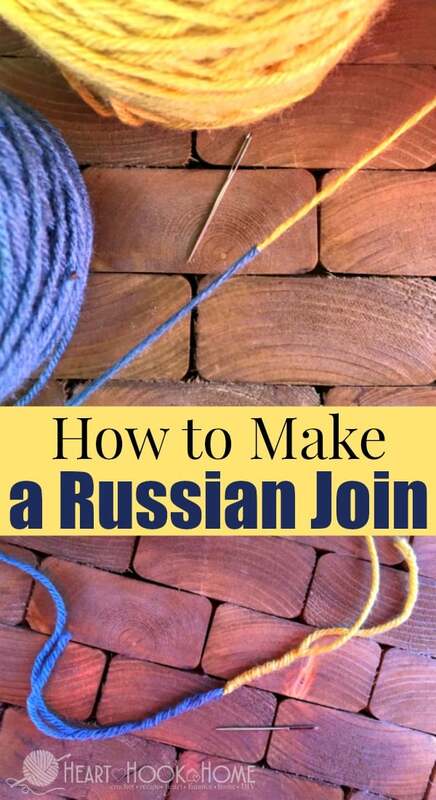 To make a Russian Join, you’ll take the yarn and feed it back through itself using your yarn needle. 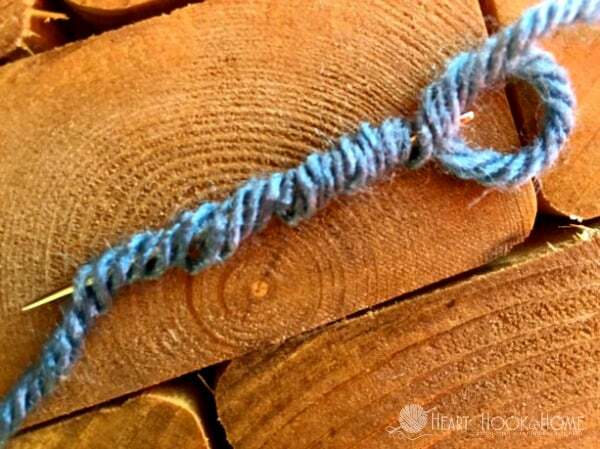 Do this once on the working yarn, and once on the new skein of yarn, connecting the two together in the middle. 1. 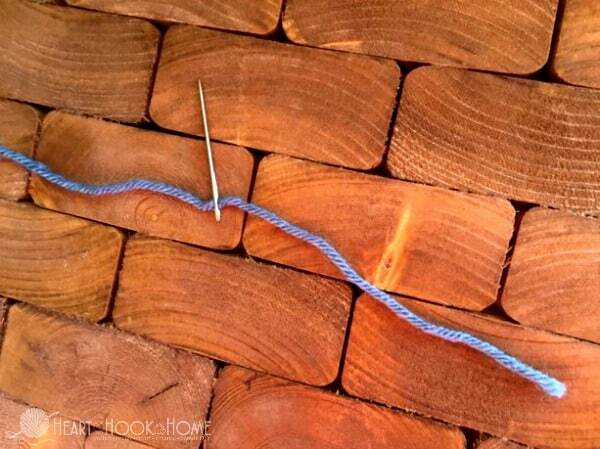 Thread your pointy yarn needle with the first yarn, leaving about a 4″ tail. 2. Working through the center of the yarn (through the spirals if you untwist it a bit) feed your needle straight through for about 3″. The farther back you go the stronger the join. 3. 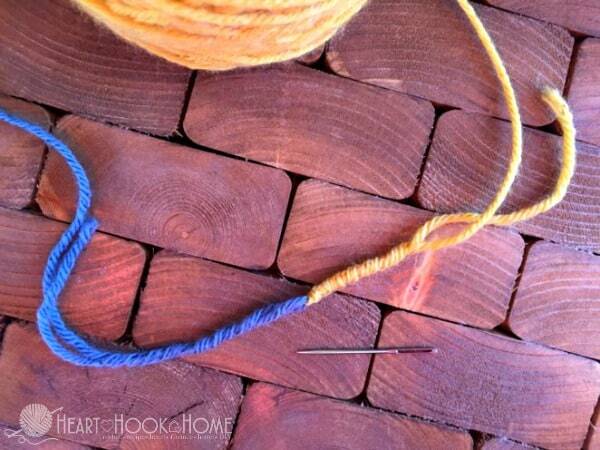 Pull the yarn to the base of the needle (make sure you keep the loop on the end!) and pull the tail through. 4. Feed the second yarn end through that loop created on the first and thread your needle. 5. Weave the second yarn through the center of itself, just like you did with the first side. Pull all the way through. 6. 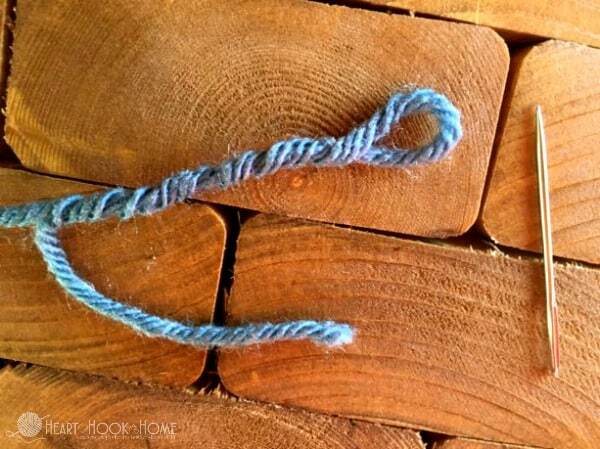 You now have two joined pieces of yarn, pull on each tail to cinch up the loops where they are joined. When finished, trim the tails on both ends. You may need to trim more than once to get it all. The Russian Join is particularly useful when you are creating a large project all in one color such as an afghan or other blanket, or if you are creating your own yarn cakes instead of purchasing one of the five major brands. While some projects won’t suit for Russian Join, many projects do! Try this method of joining yarns today and let me know what you think! Love the info ty! But you might want to ‘check’ your video- holy moly interrupted by 5x commercials to your instruction. It was very frustrating. But your join has saved me and made my work so much more professional. Thank you so much! Thank you foe the explanaruon and pulling tight enough to hear the snap. I wondered how strong this was. Also thank you for NOT over talking with your hands that so many crafters do. It is distracting and....silly. What a great new and very useful step to smoother and effective yarn joining for us to learn. Genius, in my opinion. Thanks. merci, j'adore une idée géniale. I have used this stitch for about 1 1/2 years, and almost every time I have to change color I use the Russian join. I had never heard of this technique but was eager to try it. I'm a hands-on, visual learner, so the video was especially helpful. I did it! The join was a bit too thick for my current project (with baby sportweight), but I'll use it on a thicker yarn, for sure! Thank you for a great tutorial! Your website is a wonderful reference, and I'll come back for more! When I do this, one side always slips out from the plies almost entirely. How do you do it so well? Finally, a way to use all the small ends for scrap projects without having bulky joins!! Thank you! !